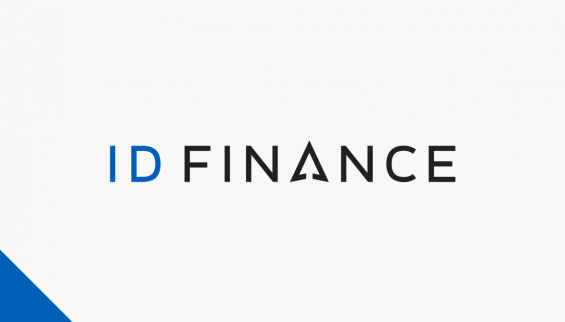 ID Finance, the emerging markets fintech pioneer, has expanded its presence on the Mintos marketplace once again, with the launch of short-term loans from its lending business in Mexico from its Moneyman brand. Now, you have even more investment and diversification opportunities in this quickly-growing region! The announcement from ID Finance comes only a few days after the company disclosed a ‘pivotal moment’ for its operations in Latin America, as ID Finance’s revenue in the region climbed by 403% in 2018 when measured against the previous year. As of March 2019, the company had a gross loan portfolio of almost EUR 5 million. This represents another key milestone as it continues its aggressive global expansion. “We’re glad to offer a new exciting investment opportunity on the Mintos marketplace as we face a pivotal moment for fintech in Latin America,” said Boris Batine, co-founder and CEO at ID Finance. “These countries have been characterised by low competition and very high underbanked populations. The country houses a young, tech-savvy generation, which is largely excluded from traditional financial products. This means there is an enormous opportunity for fintechs. ID Finance’s unique scoring technology gives us a significant advantage over the competition while our Moneyman online lending product will bring much-needed simplicity and transparency for consumers in Mexico,” he continued. ID Finance Mexico operates under the Moneyman brand. It was launched in the second half of 2017. This is the flagship project of the company, as ID Finance is usually starting its operations in each new country with Moneyman. Most often, as in the case of Mexico, Moneyman provides people with the ability to access short-term loans to cover their daily or unexpected expenses. In 2018, its website Moneyman.com.mx had more than 1.1 million visits. In Mexico, Moneyman offers loans up to USD 600 for up to 30 days, which are now available for investment on the marketplace. The rapid turnover of funds, operational excellence, which includes a rigorous approach to cost control, allow the company to offer investors on Mintos solid net annual return rates – up to 10% for its loans listed in Euro (EUR) and up to 18% for its loans in Mexican pesos (MXN). All loans ID Finance loans on Mintos which are issued through the Moneyman brand come with a buyback guarantee. Should a loan become delinquent for more than 60 days, the loan originator will repurchase the loan. Furthermore, the company will keep 10% of each loan it places on the marketplace on its balance sheet, to ensure its skin in the game. With a population of 127 million and 61% of adults lacking a bank account, according to the World Bank, Mexico represents one of the largest opportunities for fintech in Latin America. Mexico’s low bank branch coverage – 14 branches per 100,000 inhabitants compared to 33 in the US – together with an underdeveloped transport infrastructure further exacerbates the need for fintech services. Mexico is expected to have 91.6 million active internet users by 2021 and 75.4 million smartphone users by 2022. Proposed government reforms centred on financial inclusion and upcoming regulatory changes are driving the development of the sector.